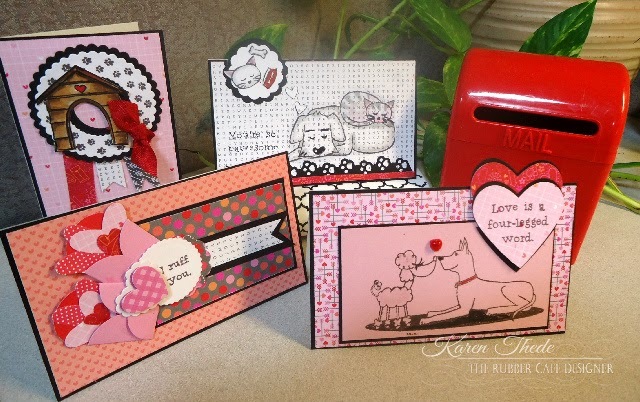 The Rubber Cafe Design Team Blog: Valentines featuring Card Sketches with Creative Cafe's Kit of the Month! 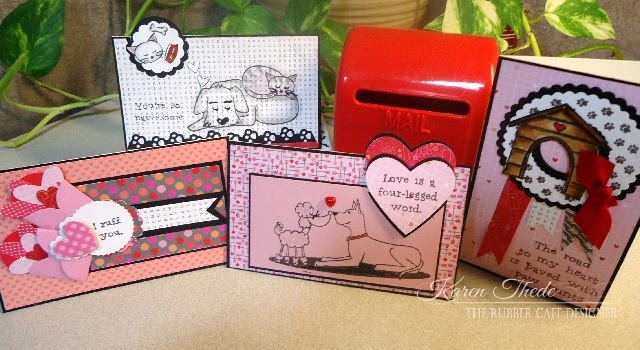 Valentines featuring Card Sketches with Creative Cafe's Kit of the Month! As promised I'm back this week with not just one new card sketch but 2! I think I'm becoming addicted! Here's a quick look at the 4 cards I made this week, using the 2 card sketches I created. 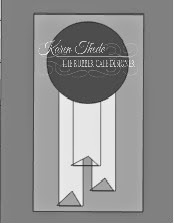 What I love most is I'm really getting a lot of cards out of this one 6x6 pad! 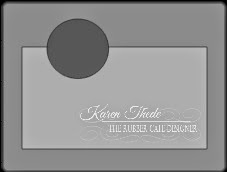 I still have papers and images to duplicate the first set of 7 cards I made. Here's a link to that post in case you missed it last week. So for this week, here's 2 more sketchs for you to try. I kept my stamping simple, with minimal coloring, as these designs really stand-up well as simple black outlines, especially against the pink, red, black and white color palette of this kit. 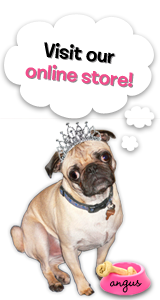 For my first card, the image below is stamped onto pink cardstock, I did use my clear glitter Wink of Stella marker on the poodle, then added a dinmensional heart, which is included in the kit. My sentiment is centered on a punched heart, from a paper print in the pad. I layered black and then added a red heart to help it pop! 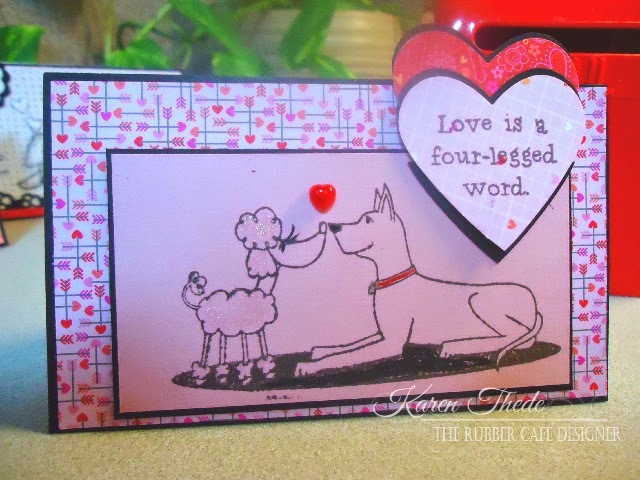 Both the image and the sentiment are from the add-on set Love is a Four-legged Word. My second card with this sketch, is one of my favorites! I stamped the image from stampset featured in the kit directly onto the patterned word paper from the Doodlebug pad. I did some highlighting around them both with my alchohol markers, and added some tiger stripes to my sleeping kitty. I think what I love best is the dream bubble over his head. Look! he's even dreaming about his sleeping feline friend along with his other favorite things! With my second sketch I created two more cards. 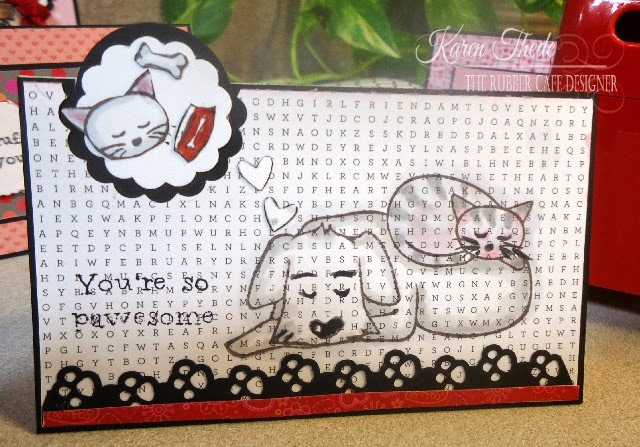 My first card is on the vertical- and I had some fun with the circular paw prints images found in the featured stamp set with the kit. Getting out my Spellbinder Classic circle and scallop circle dies, I was able to create a wreath shape. I love the dog house which I added to my wreath. It seemed to need a heart too but I couldn't find the right place for it- as a final touch and to add some red, then I tied some red rayon ribbon through the opening. 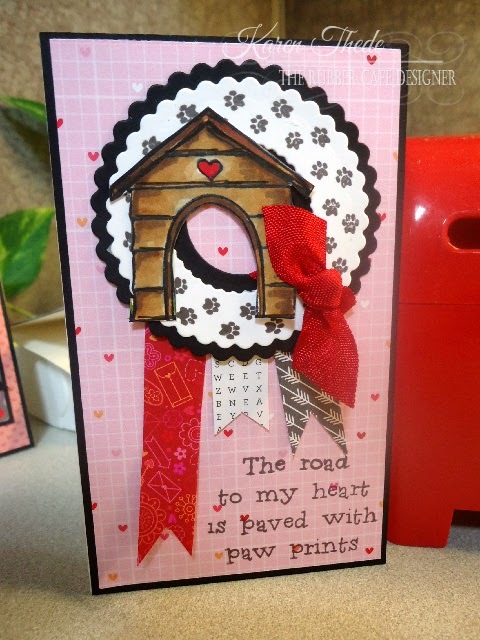 The sentiment "The Road to my Heart is paved with Paw Prints" makes me think of the idea Home is where the heart is- I don't know, in a crazy way it works for me and I like how it turned out! My 2nd card I turned horizontally and instead of a circle I did a cluster of elements - primarily made up of these 2 cute envelopes stuffed full of hearts! I have a punch from ek Success-that created the envelopes, it looks like a 4 petal flower-which unfortunately is discontinued, but I couldn't resist using it anyway. 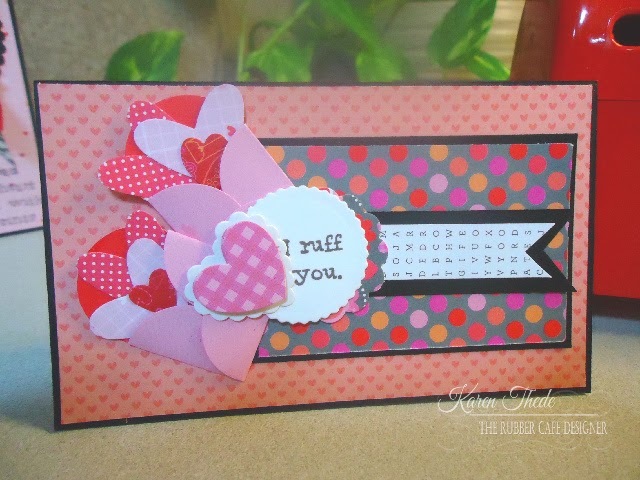 I added the 'I ruff you' sentiment from the add-on set "Love is a Four-Legged Word". * Hint: If you haven't already added this stamp set to your shopping cart before checking out you should really re-consider! They both work so well together. Here's another look at them all together again! Thanks for stopping by- I hope you've been inspired to give a couple of these sketches a try! Can't wait to get the kit! I hope I see it soon!